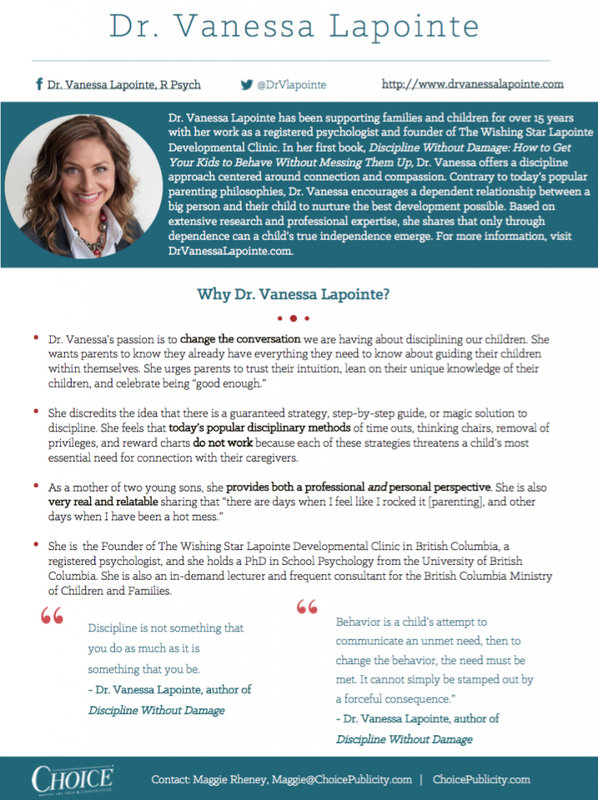 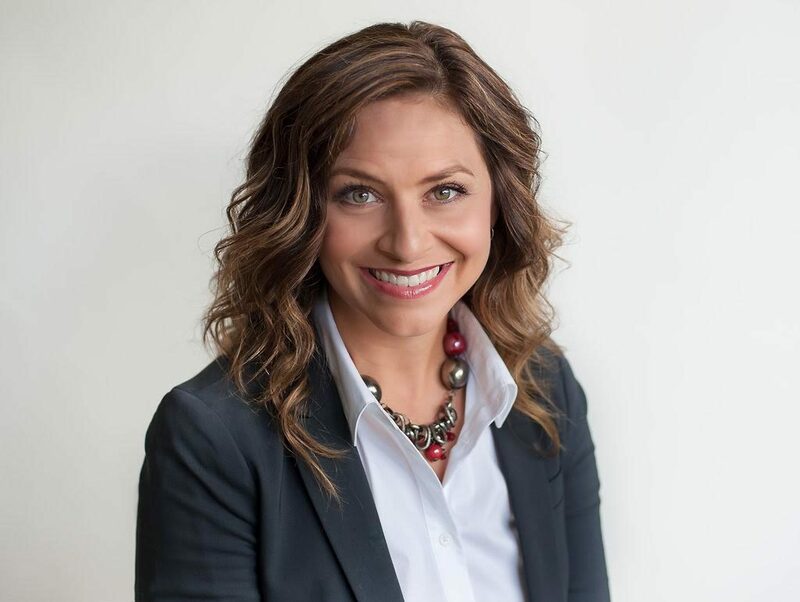 Dr. Vanessa Lapointe has been supporting families and children for over 15 years with her work as a registered psychologist and founder of The Wishing Star Lapointe Developmental Clinic. 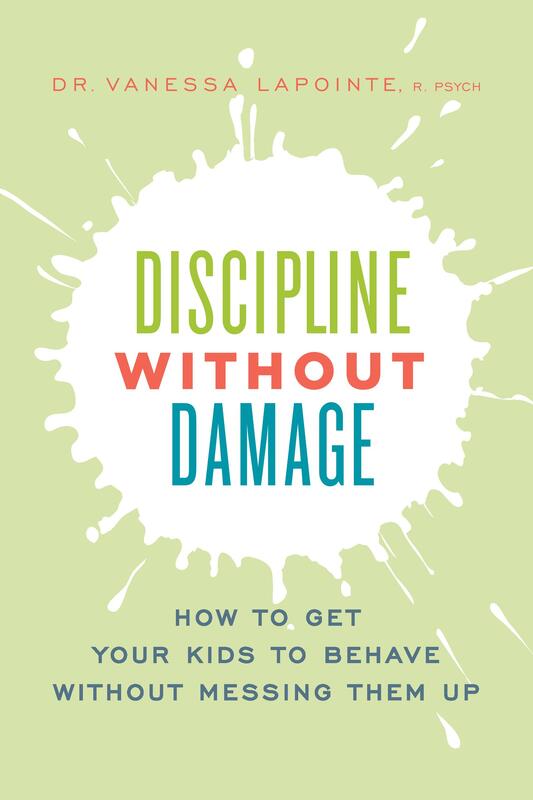 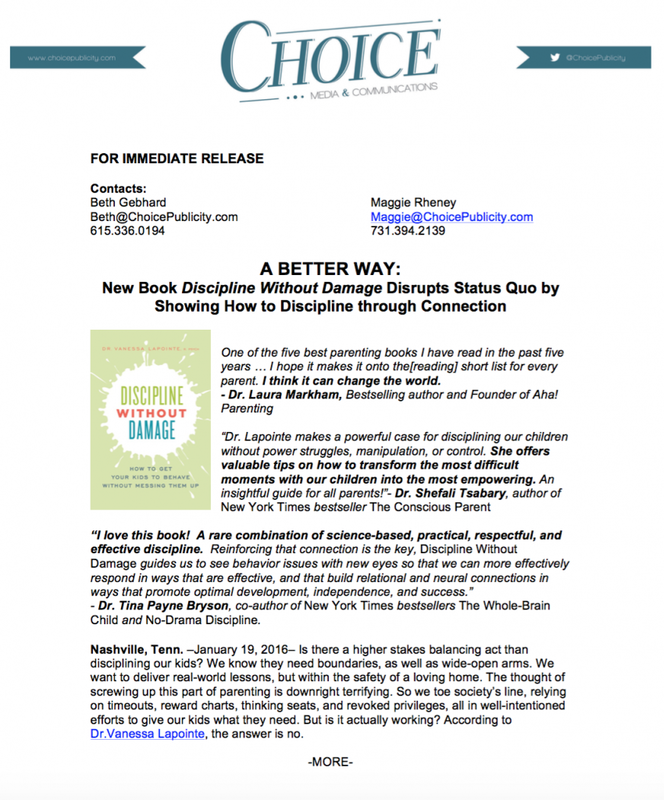 In her first book, Discipline Without Damage: How to Get Your Kids to Behave Without Messing Them Up, Dr. Vanessa offers a discipline approach centered around connection and compassion. 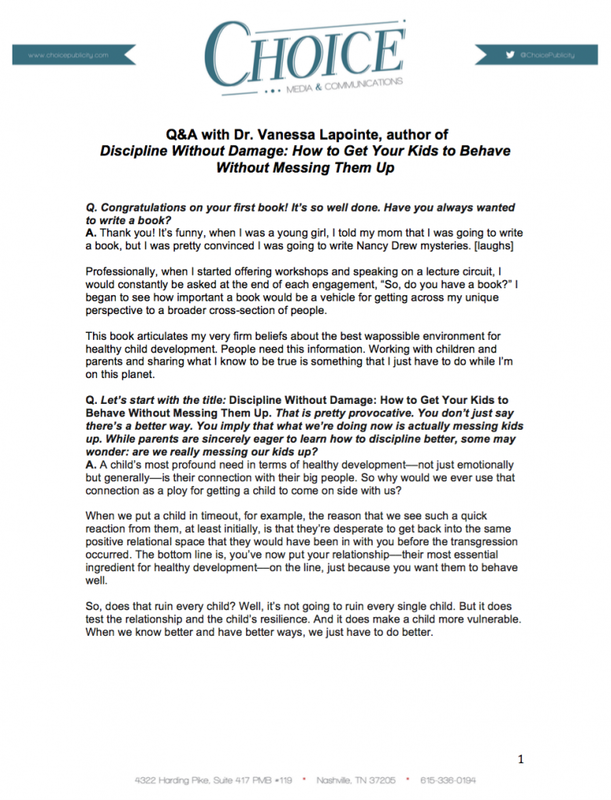 Contrary to today’s popular parenting philosophies, Dr. Vanessa encourages a dependent relationship between a big person and their child to nurture the best development possible. 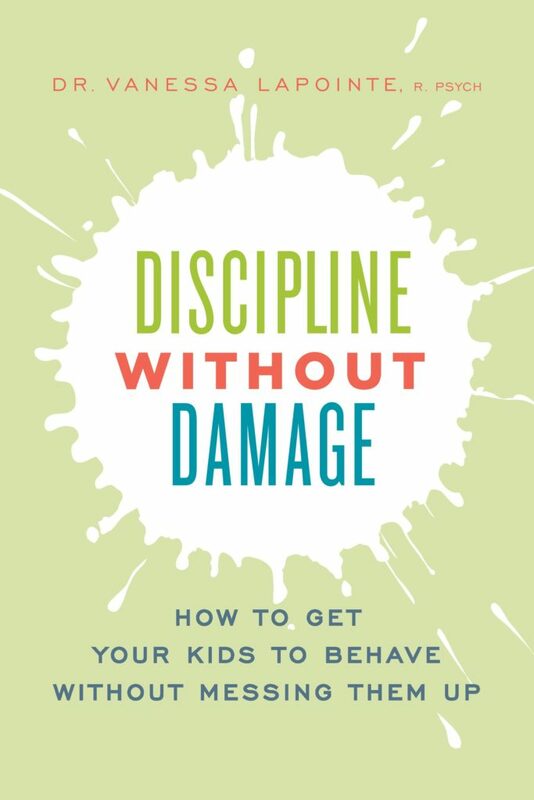 Based on extensive research and professional expertise, she shares that only through dependence can a child’s true independence emerge.